To make your visit to the Willa Cather Memorial Prairie a memorable experience, you can now borrow a fully outfitted backpack from the National Willa Cather Center. Our sixteen backpacks are each stocked with binoculars, a magnifying glass, drawing pad and pastels, journal, pen, and prairie field guides for viewing wildflowers and birds. 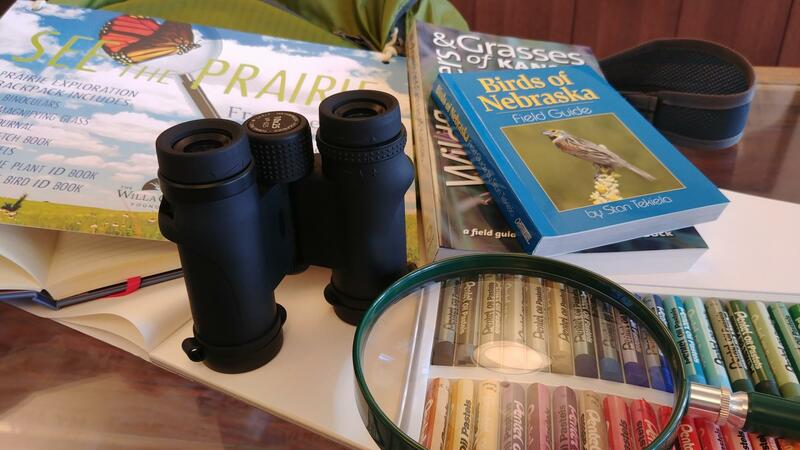 Spring and early summer are ideal times to experience the grassland birds and emerging flora of the prairie landscape. This is a perfect opportunity for you to have an immersive experience in Nebraska’s natural realm. Stop by the National Willa Cather Center to check out a backpack or call to reserve in larger numbers—and don’t forget your cameras and picnic baskets. Our free “borrow a backpack” program was made possible through a grant from the Nebraska Wildlife Conservation Fund and the Claire M. Hubbard Foundation.